Just check out these discounts! You can e-mail us at sales@AmericanCeramics.com if you need any help with technical support and/or specific shipping needs. 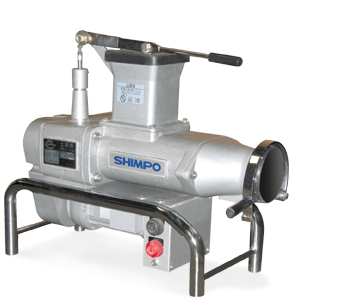 FREE SHIPPING on all Shimpo Pugmills and Slab Roller!!! Pick it up in our showroom and get 50 lbs. clay FREE. The NRA-04/04S pug mill features newly designed twin augers and a forceful direct gear driven motor. The high quality wedging and extruding capacity obtained makes this compact pug mill one of the most efficient and competitive on the market. and that Shimpo is still honoring the Free Shipping!